Rhythm FM live broadcasting from Sri Lanka. Rhythm FM broadcast various kind of latest Asian, News, Top 40 music . Rhythm FM is a one of the most famous online radio station on Sri Lanka. “Rhythm FM” was launched with the intention of entertaining and educating the masses, delighting them with the most quantity of music, thus becoming a part of their everyday lives. Rhythm FM plays an “upbeat”, sing along, music format with Popular Hits from 70’s to date & current Hindi Hits. Rhythm FM places a special emphasis on the quantity of music playing no less than 300 songs per day. 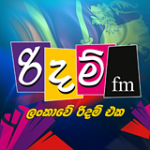 The station’s radio presenters ensure interactive appeal with moderate talk content that is engaging to listeners.The latest addition to TNL Radio Network – “Rhythm FM” is a uniquely different Sinhala Language Radio Station operating 24 hours a day.Starting in the mid-20th century a new form of popular folk music evolved from traditional folk music. This process and period is called the (second) folk revival and reached a zenith in the 1960s. This form of music is sometimes called contemporary folk music or folk revival music to distinguish it from earlier folk forms.